Renowned museums have enjoyed the support of Credit Suisse for several decades, allowing them to stage exhibitions of international importance. At the international level, Credit Suisse supports the National Gallery in London as well as various other art museums at the national level. In Switzerland, the bank maintains long-term partnerships with many renowned art institutions such as the Kunsthaus Zürich, the Kunstmuseum Basel or the MASI Lugano. The National Gallery is one of the greatest art galleries in the world. Founded by Parliament in 1824, the Gallery houses the nation's collection of Western European paintings, from the late thirteenth to the early twentieth century. No other collection possesses such consistent quality, nor better tells the story of Western European painting. The collection belongs to the nation and is open to all, attracting a diverse public from the UK and overseas. Between four and five million people visit the National Gallery each year. Almost all of the 2300 paintings in the National Gallery's collection are on permanent display. The collection represents the greatest Western painters including van Eyck, Raphael, Leonardo da Vinci, Turner, Rembrandt, Degas, Cézanne, van Gogh, Renoir, Monet, Rubens, Velázquez, van Dyck, Titian, and Bellini. The Gallery's key objectives are to enhance the collection, care for the collection, and provide the best possible access to visitors. Credit Suisse has been a Partner of the National Gallery since 2008. Additionally, disadvantaged students from London and the East-midlands have the opportunity to enhance their creative skills during educational courses led by the Museum and supported through our Global Engagements with City Year UK. Credit Suisse has worked with the Kunsthaus Zürich for many years, forging a relationship that culminated in official "partner" status at the beginning of 2005. This partnership manifests itself primarily in the role Credit Suisse plays as the main sponsor of the principal annual exhibition. The Kunsthaus Zürich owns 17 paintings by Edvard Munch – the largest selection of works outside of Norway – as well as other significant collections. First and foremost among these are the collection from the Alberto Giacometti Foundation, which affords a comprehensive view of all major aspects of the artist's oeuvre, and the most famous works by Johann Heinrich Füssli. These were recently joined by the Bührle and Looser collections. The bank sponsors each year's main exhibition and various public relations and outreach projects, for example, an open house event. The Kunstmuseum Basel, one of Switzerland's oldest and most renowned art institutions, benefits particularly from its prime geographical location. The Kunstmuseum Basel collection focuses on paintings and drawings by artists from the Upper Rhine region between 1400 and 1600, as well as on artworks from the 19th to the 21st century. The museum lays claim to the world's largest collection of works by the Holbein family. Among the periods rep­resented is the German Renaissance, with major works by Witz, Cranach, and Grünewald. 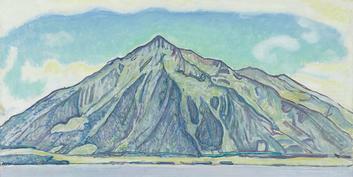 Highlights from the 19th century include paintings by Böcklin, Van Gogh, Gauguin, and Cézanne. In the 20th century, the emphasis is on Cubism, German Expressionism, and US art since 1950. Contemporary art is displayed at the Museum für Gegenwartskunst. Recently expanded, the Kunstmuseum Basel is now housed in three buildings (the main building, the Museum für Gegenwartskunst Basel, and the new building). The extension heralds the start of a new era. With its three buildings, the Kunstmuseum Basel now has a total exhibition space of about 10,000 m2 at its disposal. Credit Suisse has been supporting the Kunstmuseum Basel since 2012. The Kunstmuseum Bern is the oldest art museum in Switzerland with a permanent collection that spans nine centuries and includes many masterpieces by nationally and internationally renowned artists. The museum enjoys international fame, thanks to works by Paul Klee, Pablo Picasso, Ferdinand Hodler, and Meret Oppenheim. 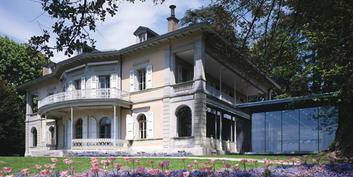 The city of Bern founded a national art collection in 1809 and completed construction of the first museum in 1879. Classic and contemporary works are displayed alongside leading artists from Switzerland and Bern over 3500 square meters of exhibition space. Credit Suisse has been a partner of the Kunstmuseum Bern since 1996 and is main sponsor of several exhibitions each year. The Kunstmuseum and Credit Suisse established the "Credit Suisse Förderpreis Videokunst" in 2011, which was awarded for the first time in 2012.
Credit Suisse has been supporting the Museo d'Arte Lugano since 1992; in 2008, it received the official status of partner. 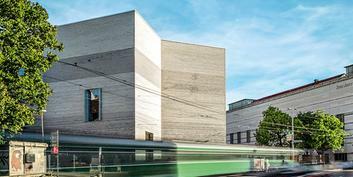 In 2015, the Museo d'Arte and the Museo Cantonale d'Arte merged into MASI Lugano – Museo d'arte della Svizzera italiana, Lugano, in the new LAC Lugano Arte e Cultura cultural center. Since then, MASI Lugano has been attracting a varied audience to Lugano and the multidisciplinary LAC venue. Credit Suisse sponsors both MASI Lugano and the LAC.